I just bought a new Nissan Truck. Do I need a GAP car warranty? Congratulations on buying a new Nissan truck. After signing the paperwork with the finance department, you must be presented with the option to purchase an extended or GAP coverage for your vehicle. Although, you may find it useful the warranty is likely to be beneficial for the many years that you use the car. The gap, as the name suggests is designed to bridge the gap between the amount you paid for your vehicle and the amount your insurer will pay out based on the current value of the vehicle. Of course, many drivers find their standard car warranty enough to cover the costs of repairs and replacements incase the car is damaged or stolen. However, the insurance company will pay you the actual current values of the vehicle which can be lower the amount that you owe on your car loan. For example, you bought a car worth £12,000. The car will start losing its value the moment you drive it out of the car dealership. After using it for three years, you crash your car and write it off. Your insurance provider will only pay you the current value that can be around £5,000. The amount will not be enough to purchase a new car as well as repay your financial deal. Most new cars come with a warranty from their dealership. All Nissan cars come with a basic 3 years/36,000 mile limited vehicle coverage or a 5 year/60,000 mile limited power-train coverage. Ask yourself, is the warranty in line with how long you plan on keeping your vehicle or are you only going to drive the car for 36k miles? Your car is less than a year old and your vehicle insurance company offers to replace the car within 12 months of ownership. Your current financial plan backs you for the difference that you paid for the car and its actual value. Gap protection is available in most states and often offered by your car salesman. However, you should shop around. It’s cheaper to buy it from an independent provider since there are no commissions to be paid. After some experience trucking for a company, it’s tempting to become an owner-operator and virtually become your own boss. No more coming into work when someone calls you in, no more working more hours than you can comfortably handle — just you, your load, and the open road. However, being an independent trucker is probably more expensive and time-consuming than you expect unless you know how to save time and money. Instead of looking for trucking jobs one by one, contract with a transportation logistics company. One of the benefits of working with Landstar is you enjoy fuel discounts and your fuel surcharges are passed back. You even get discounts on tires. Stop driving from station to station looking for the best price and calculating the best routes between the cheap gas stations and your destination and just drive. Instead of knocking on doors and cold calling potential clients, work with a transportation logistics company that does all the marketing work for you. You simply select the routes that work best for you, and you can always rely on available work, so you needn’t worry about infrequent income again. Contractors with Landstar also benefit from discounts on hotel stays and phone and data plans on their work phones. Not only will you not have to spend any time or money on marketing, but you can expect to pay less for these extras that are a necessary part of trucking. When you contract with Landstar, you’re still your own boss because you select how often you work, but you won’t have to waste time finding clients or spend more money than you need to on gas and marketing. Try contracting with a transportation logistics company that supports the independence of the typical owner-operator and you’ll never want to go back to finding your own clients again. 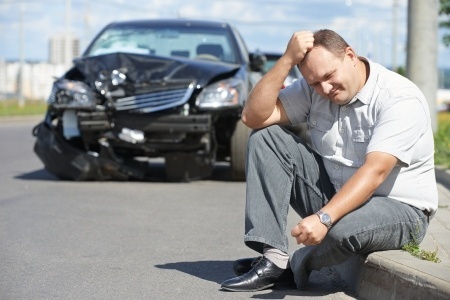 Being involved in any kind of car accident can be traumatic. Even if you don’t have any major injuries, the experience can still leave you shaken up. It’s best to stay rational and know what you need to do if this ever was to happen to you though. Even though no one likes to think something like this will happen to them, car accidents are common. Here’s what you should do in the immediate aftermath of one. Before you do anything else, it’s vital to make sure that everyone who was involved in the crash is alright. Obviously, if you are unsure about your own injuries or those of someone else, you should instantly call an ambulance. But most accidents are minor, and those involved will only have minor injuries or none at all. Once everyone is out of the cars involved, you should keep an eye on them. Symptoms often don’t present themselves until the adrenalin has worn off. This means that someone can feel fine for a while but then start to feel pain later on. The next thing to do is call the police. This is very important. Even if the crash was very minor and there was not much damage done, it’s still best to let the police know. They will then be able to carry out their own investigation into what happened. As soon as the police have been notified, they are obliged to make a report of the incident. This is important because this report could help you out later on if you decide to take legal action to claim compensation. So, if you ask me, it’s always a good idea to get the police involved in the process. When the police are present, you should then exchange your details with the driver of the other car involved in the accident. You should get the name, address, license number, license plate numbers and insurance details of the other driver. This will all be very important later on. If you simply let the other drive off without them giving you the information, then you won’t be able to take any further action. And, of course, you should provide the other drive with your details. It’s best to do this in the presence of a police officer, so you have an independent witness. Speaking of independent witnesses, it’s also a good idea to talk to any witnesses who saw the accident. Having someone who saw what happened and has no connection to you can help you a lot if you need to prove what happened later on. If that person can back up your story, it might help you to get your hands on compensation money later on. So, don’t underestimate how useful this can be. At the very least, you should talk to these witnesses and get their contact details for future reference. You should make a note of any medical treatment that you receive relating to the accident. If you want to seek compensation later on, it will be essential for you to prove how you suffered as a result of the crash. If you have a reliable compilation of information relating to your treatment, it will make the process much easier for you. You will also need to go back to your medical records if you want hard evidence of all the treatment that you received. You’ll have to keep this in mind. You should also promptly inform the insurance company after the crash takes place. You need to be open and honest with them about what happens. If you were at fault in someway, you need to tell them that. Lying will only cause you further problems in the future, and that’s not what you want. But if you’re sure that you didn’t do anything wrong, and it was the other driver that caused the crash, be sure to tell them this. They can only review the case accurately if they’ve got all the information available relating to the crash. While still at the scene, you should take photos of what the crashed vehicles look like. You should also try to take photos of the road and any marks that are left by the tyres on it. This might help you to improve your case if you try to get compensation. Everyone has a mobile phone with a camera attached to it, so it shouldn’t be very hard for you to do this. Also, take photos of your car and any damage that was sustained to it by the other car. Then store the photos safely until they’re needed. Don’t post them online or anything like that. 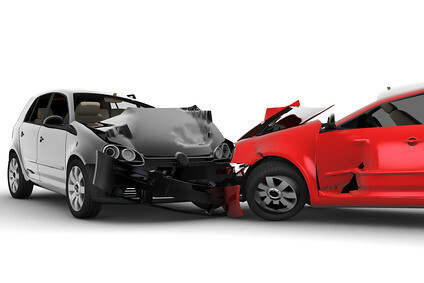 If you want to pursue a claim and try to get compensation, you are going to need a lawyer on your side. It’s never a good idea to try to go through the whole legal process without a good lawyer to help you. You will be much more likely to fail if you choose to do this. You want a lawyer with a good record and a history of fighting these kinds of compensation cases. You can view this law firm for details of lawyers like that. When you have hired a lawyer, let them look at your case and tell them everything about it. When you are involved in the accident, you might be tempted to discuss this with everyone around you. But this is probably not a good idea. You should obviously talk to your lawyer and your insurance company about what happened. But be cautious when you mention it to other people. And it’s probably not a good idea to post your thoughts online. When you post it online, it is there forever; even if you try to delete it later, it can be traced. You certainly shouldn’t say anything that contradicts something you will later say in court. Do you have an interest in cars? If so, you will love this blog! How Much is a Used Car Worth? Car Garage · Do you have an interest in cars? If so, you will love this blog!